The story, we've all heard before. 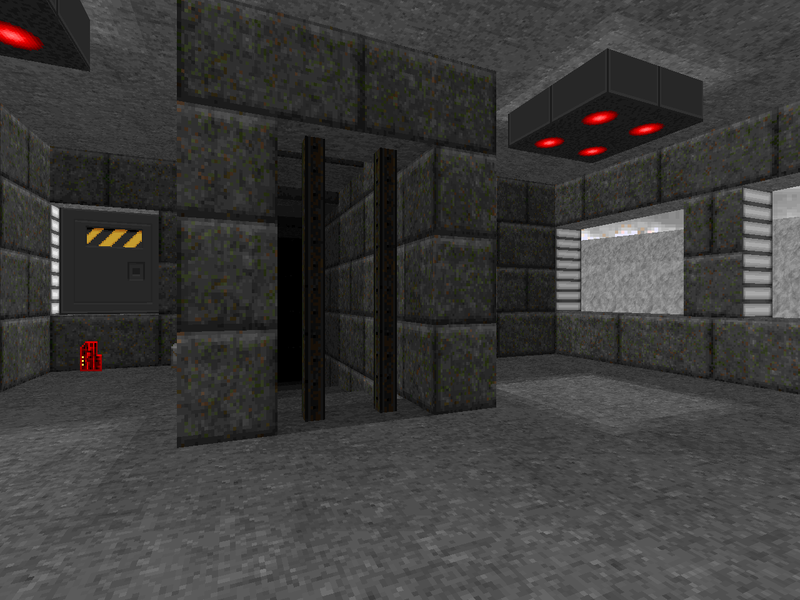 The "Lookout Base" of Mortiser 1 was a military outpost with one very important asset: a teleporter. I think such a thing would be pretty essential to your adventure since you're using it to launch your campaign of carnage, but the author insists that your first milestone is actually "Ice Station Alpha". 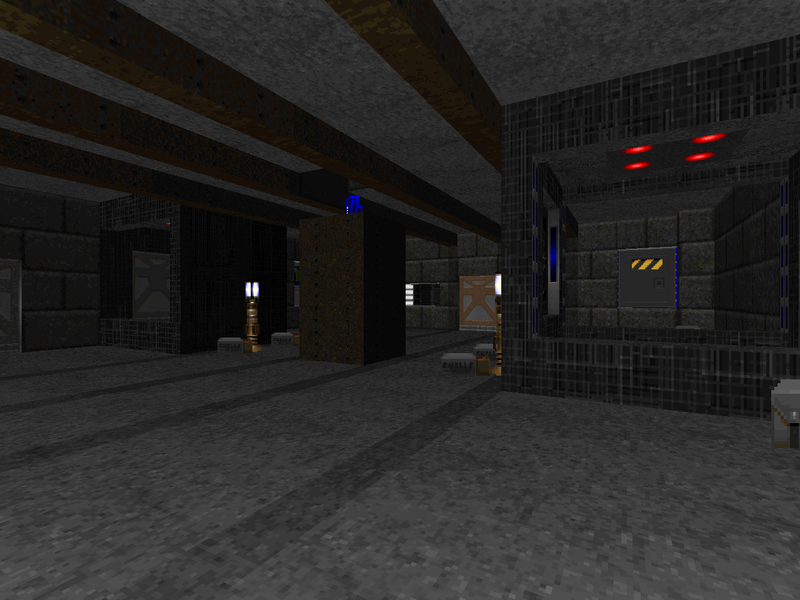 The terminal gathers resources, recovering water from ice and discovering critical mineral veins. 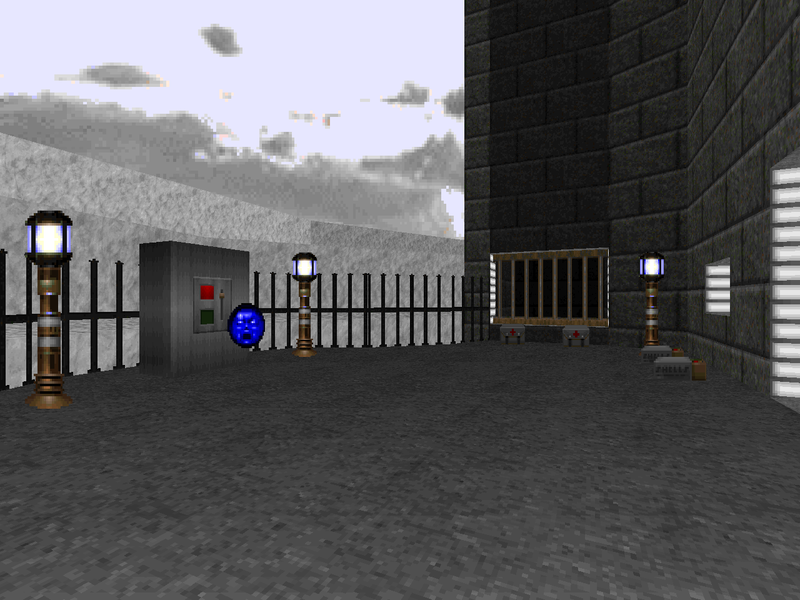 It would be nice, I guess, to return the facility to service but - more importantly - the other end of the portal you used to get here ought to be secured. SWMORT2 sort of reminds me of Woodman's "Metal Meltdown", part of Hell Revealed II. 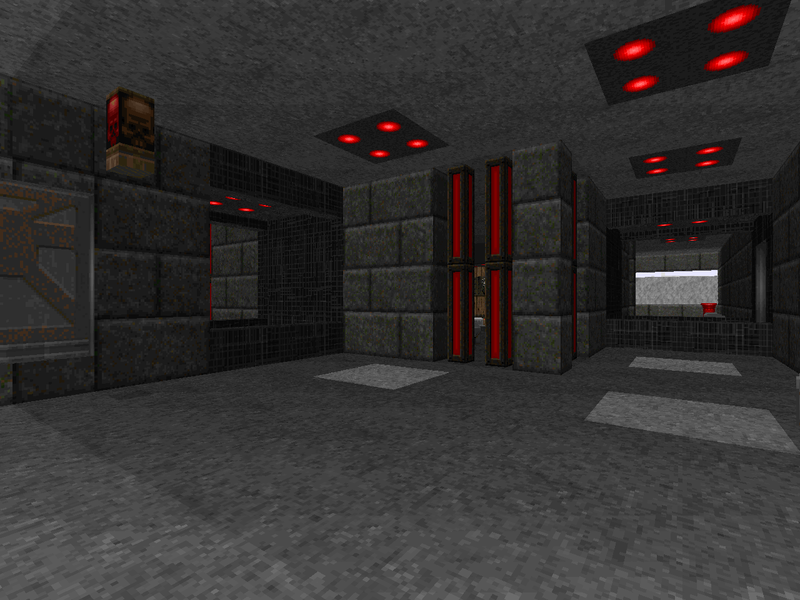 Both levels are ostensibly bases, have a layout running from north to south, and are steeped in bilateral symmetry. The latter is considerably punched up, though, compared to Mortiser 2. This is a very fast play with much of its monster count coming from shotgun guy invasions of the southern side rooms and starting area. I think that the second waves of former human sergeants are overdone but such fragile monsters just cement Ice Station Alpha's atmosphere of easygoing slaughter. 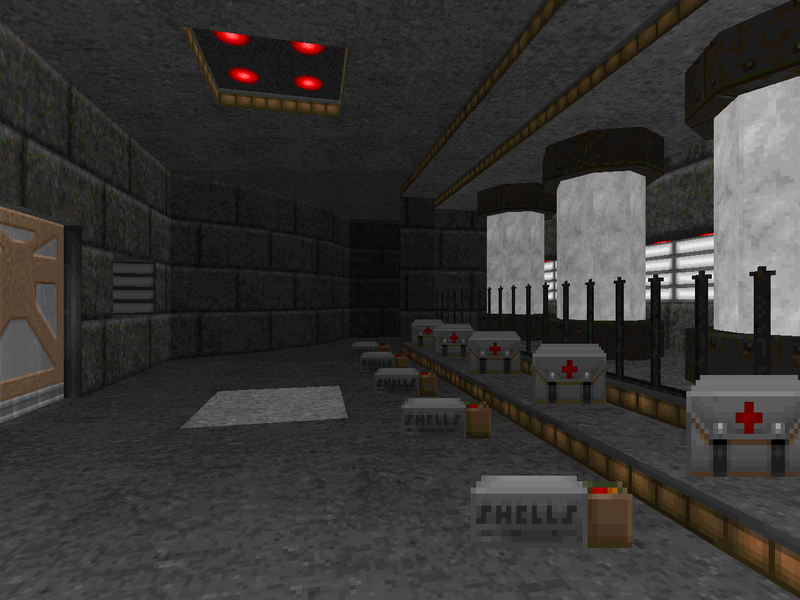 There's still some meat, of course; imps lie in wait in several spaces and the southern rooms feature small groups of Hell nobles guarding the switches. The finale features an arch-vile in a slightly clever setup since he has an arachnotron shield on either side, preventing you from immediately attacking him directly. It's an easy blastathon, especially if you check the two little supply closets and grab the megasphere / rocket launcher combo. There's plenty of opportunity for explosive carnage, speeding things up for risky players. The other route is the tried and true combat shotgun grind, which ought to give you plenty of time to enjoy the exotic if muted locale. The ice crater you're in doesn't lend a lot to the imagination and makes for some one-note visuals. I like the spinning ice cores in the side rooms, though, and the interstitial portal pads in the hallways are an interesting visual hook, even if they don't make a whole lot of sense. I can see why Ice Station Alpha wasn't selected for Alien Vendetta. The bluntness of its action and simplicity of its layout is a poor fit for the artifice exercised by Anders and friends. It's perfectly at home in Woodman's idiom, though, and should be a nice little adventure for those who are less demanding of the complexity of their Doom experience.